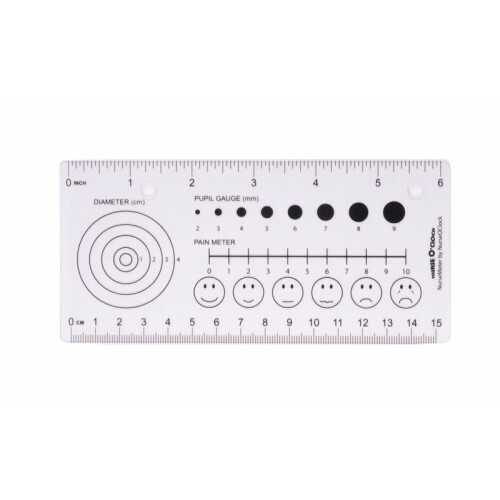 Pocket-size medical ruler with pain meter to interpret the pain level when a patient cannot verbally express his/her pain intensity. 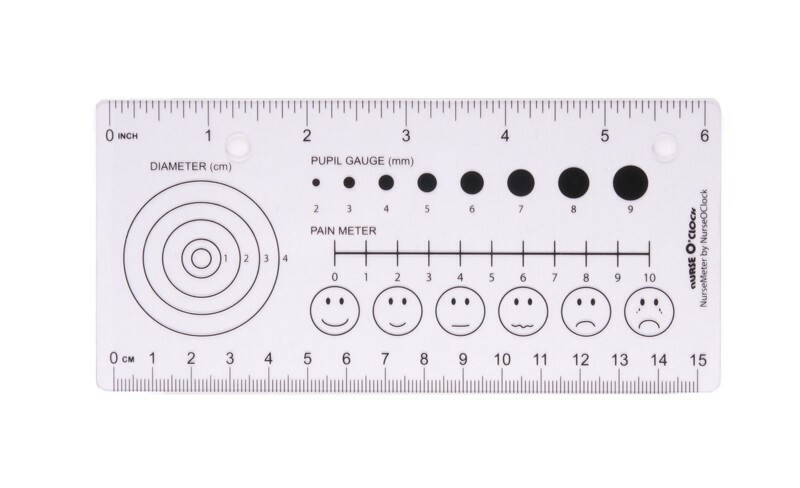 Imprinted wound diameter gauge and pupil dilation gauge. - Ruler in inches and centimeters. 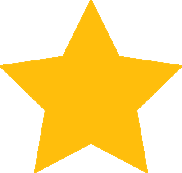 - Made from heavy-gauge clear plastic.